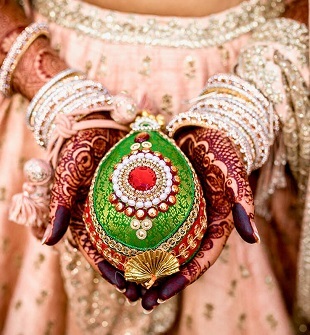 Weddings imprint a lifetime of happiness in your hearts and minds. And the most important role in capturing those memories in their existing beauty is of the photographer. A very tedious task is the one where you have to find the right wedding photographer who will tend to all your needs. A talented photographer with a unique vision who understands and works on the views of their client is the one who can make it happen. They create and execute the perfect vision of your wedding day. 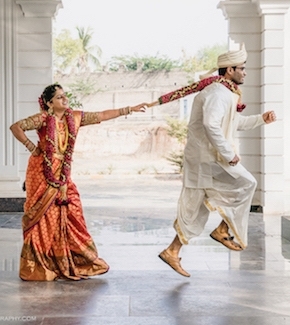 So if you haven’t already found the perfect wedding photographer, here is a list of some of the best professional wedding photographers who will do their best to perfectly capture your wedding memories. One of the best Delhi based professional wedding photographers is Naman Verma who’s a visionary and an artist. He captures cherishable moments with utmost sincerely, care and has an eye for detail. Specializing in candid photography, wedding, pre-wedding photography, traditional and conceptual photography, he aces the skill in every genre. With their stunning vision and careful execution of work, Ombre by Harsheen Jammu is among the best professional wedding photographers. The team is dedicated and their hard work can be seen in their works. The cherishable memories are turned into a fairytale captured in pixels with utmost love. GIWA 2016 award winning photographers, Hitched and Clicked specialise in candid photography, wedding and pre-wedding photography, traditional, themed and destination wedding photography among others. Their magical vision and an eye for special spontaneous moments makes their photography exquisite and cherishable. They capture real emotional moments and sought to provide with the perfect memories from the big day. With their belief of capturing the beautiful moments of the wedding through videography, Colourblind Production provides with the best wedding videos. Their vision is exclusive and they record the weddings in unique and technical ways, making them memorable and contemporary. The involvement of specialised personnel and their vast experience makes them one of the best professional wedding photographers. They work tirelessly to give exclusive output through their photography and videography skills. They aim at making each wedding a special affair and give personalised attention and focus into capturing the memories perfectly. 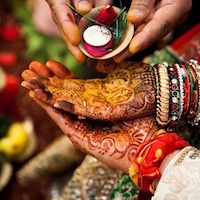 Delhi based photographer who has an experience of over 5 years in wedding photography. He is a visionary who captures the most beautiful frames through his pictures. He specialises in candid photography and understands the needs of the clients. Located in Ludhiana, Harvarinder Singh Photography provides with an excellent collection of beautifully captured memories. With his extraordinary vision and devotion for his work, he develops a friendly relation with his clients and provides with cherishable photographs as per requirement. Documentation of wedding stories in the most unique and artistic way is done by this team of creative people. Experienced in what they do, they provide with a blend of simplistic and modern photography and capture memories in an enchanting way. Being among the top professional wedding photographers, they make the weddings a cherishable affair and work hard to execute stunning images. Let us know about more professional wedding photographers in the comment section!